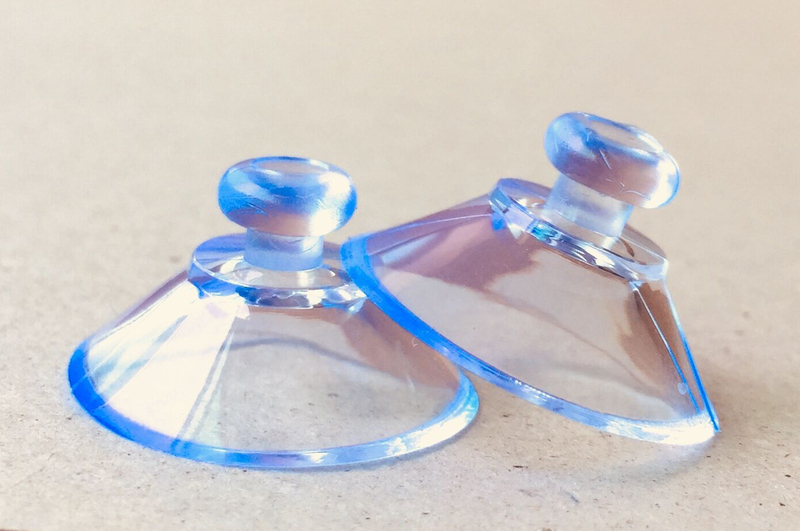 Small Suction Cup without Hooks, 20mm – Perfect for Glass table or for any Hanging Decoration. Pack of 12 Small Suction Cup without Hooks, 20mm – Perfect for Glass table or for any Hanging Decoration. These suction cups are used to attach objects together. Suction cups have so many uses for finished crafts. They are great for hanging hand made decorations, especially at Christmas. Will suction onto any glass, windows or mirrors. Use for suncatchers, ornaments, Christmas lights, stained glass projects, etc. This pack contains 12 rubber suction cups without hooks. Each cup measures 20mm wide.